Twin Peaks might change the future of television for the second time. Brian Eno once said of the Velvet Underground’s first album that while it only sold 30,000 copies, every person who bought one ended up forming a band. What Eno understood is that influence, especially artistic influence, lies almost entirely apart from audience size or commercial success. Twin Peaks’ 1990 premiere was viewed by almost 35 million people, one of the most-watched programs of that year. But precipitous drops in the series’ ratings led to its cancellation after only two seasons, and the lack of interest in the follow-up film Twin Peaks: Fire Walk with Me effectively killed the notion of Twin Peaks as any sort of real mainstream success. Look at TV today, though, and the imprint left by David Lynch and Mark Frost’s creation is broad and almost incalculable. To paraphrase Eno, everyone who watched it started a TV show. 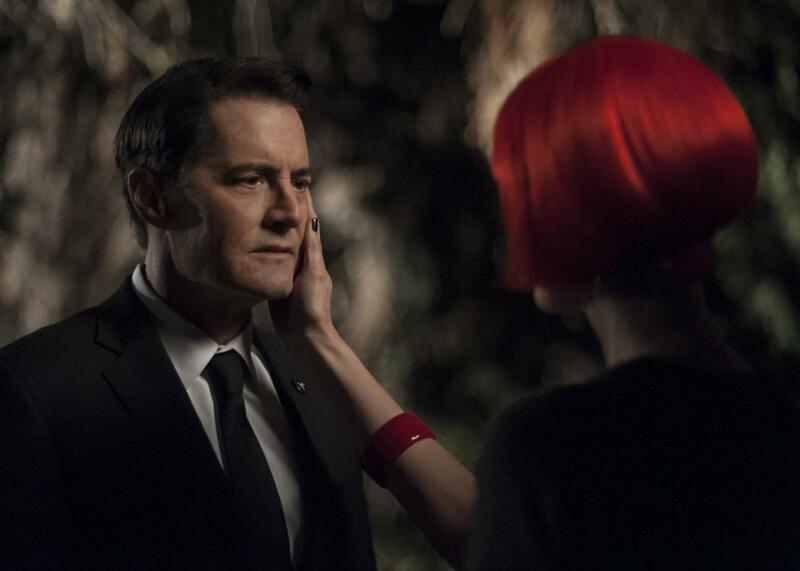 In 2017, after Twin Peaks’ improbable revival, one wonders if magic can strike twice. What does Twin Peaks: The Return portend for the future of television? It’s quite easy to view Twin Peaks: The Return as distinct from the rest of the television landscape. Lynch himself referred to it as an 18-hour film, and there’s a tendency to think of the show’s weirdness as a singular product of the director’s artistic genius. There’s a bit of truth to the latter—notwithstanding the fact that Lynch co-wrote the series with Frost—and it’s helpful in artistic terms to examine the show as an auteurist creation that exists outside the bounds of what is or ever could be normal on television. But that hasn’t stopped scores of TV creators and showrunners from taking inspiration from Twin Peaks. The series has been cited by everyone from David Chase to Donald Glover, who described Atlanta as “Twin Peaks for rappers.” Elements of Twin Peaks can be felt in shows as disparate as Desperate Housewives, Hannibal, Mr. Robot, Riverdale and Top of the Lake. Twin Peaks: The Return has gone a long way to proving there is still space for experimental work on television in 2017. In the years since the original went off the air, TV has certainly allowed for a lot more messing around with the form. These days we’ve come to expect the unexpected: surreal sequences, shifts in tone, single-take shots, massive set-pieces, episodes that veer off to examine the life of a side character, comedies that are more like dramas, and dramas that are really comedies. As the theatrical audience for feature films has become more elusive, TV has become a space, increasingly, for artists in Hollywood to try something different. But there’s different, and there’s experimental. Where a lot of series push the boundaries of television, Twin Peaks: The Return truly experiments with artistic form. From moment to moment it’s often unclear what you’re watching or why, and if you submit yourself to it, the show happily infects you with its unrelenting mood. It doesn’t look as “cinematic” as other television, and its interest in story often seems beside the point. Narrative doesn’t quite become meaningless, but the standard game of expectation and payoff is completely upended by an overriding interest in conjuring a feeling through sound and images and editing. It’s avant-garde filmmaking, more in line with Dada than Deadwood. Moments of narrative bliss, as when Agent Cooper finally returns in “Part 16,” are made blissful precisely by Lynch’s flouting of TV conventions. The new show hasn’t had outstanding ratings. It has increased Showtime’s subscriber rates, but as a business matter there’s always more stock placed in established creators with pre-existing properties. Creators may still look to crib some of its most unique elements, from its almost extra-serialized and superficially haphazard structure to its self-reflexiveness, and even its willingness to play out entire plotlines without any setup at all. What’s more likely, though, is that The Return will serve as an artistic wake-up call to the bolder artists in the TV world. It tells them that they might have more leeway than they previously thought to make bold, original choices that aren’t confined to traditional artistic standards, never mind what’s expected on television. That’s the same free artistic rein the original Twin Peaks offered TV creators. There’s no reason to think The Return won’t do the same for a new generation in awe of Lynch’s audacity.